I hope you are all having a great weekend. I was silent because I got some sore throat this week on Wednesday and hardly made it through the week. Eventually my throat got better but my nose is killing me. As you can imagine around my nose is red, my eyes are half swollen and yesterday night we were at the ball. The one for which I purchased the nice dress last weekend. Agh, right on time! Do you have any tips for "makeup during common cold"? I applied lots of concealer around the nose and took it with me. The ball was really nice, I took some pills to get me going all night, now I am really so tired. All I want is zZzzZZZz. Too bad that I am not so presentable for an FOTD right now, because I have many more Christmas products I can't wait to share with you. Until I can show you some of my new face shots, I am taking now a break for a day or two until my nose heals. Here is what I didn't have time to talk about before but I figured out it might be interesting since two of the products are permanent and one is still not sold out. Tom Ford's Fall Collection might be far away from receiving the love it always does but there are still a few gems in there. Here are my thoughts on Tom Ford Skin Illuminating Powder Duo #01 in Moodlight, Lip Color #50 So Vain and Eye & Cheek Shadow #04 Plum Ombre. 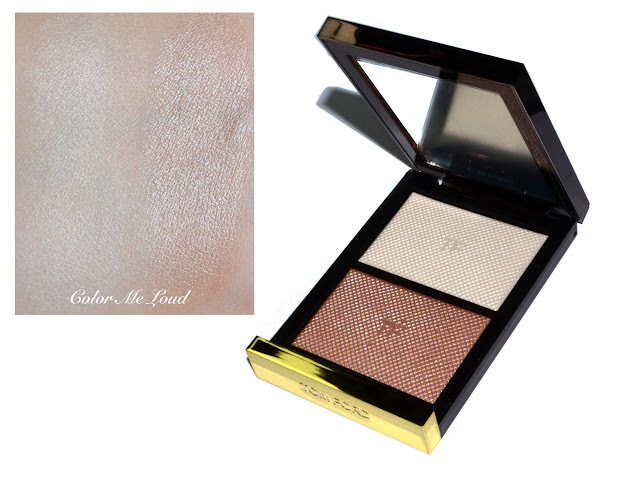 Tom Ford Skin Illuminating Powder Duo #01 in Moodlight was definitely everyone's darling from Tom's Fall Collection. It was almost a must have so I was happy when a dear friend sneaked one for me from UK since it was sold out almost instantly when it went online in Germany. There were lots of discussions about it if it would be a permanent item or not. I received the info from Germany PR back then that it is permanent, which was reliable since the item was sold out but now it is back in stock in some of the online shops. Yay for the glow which is available to everyone. The illuminating Duo in Moodlight is very pigmented but at the same time it is subtle enough to be worn during the day. 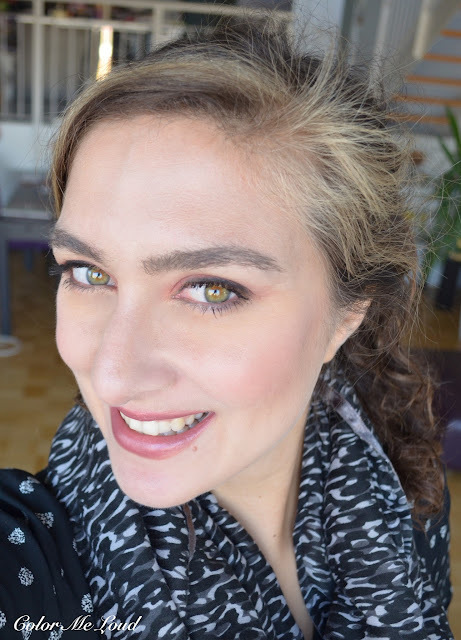 The formula is what I would classify as gelée, close to one from Esteé Lauder such as Bronze Goddess Illuminating Powder (reviewed here) from Summer Collection. The shades are much more wearable than they appear in the pan. I like the fact that one of the shades is light. It might sound so straightforward but even me with my light to medium complexion (a little lighter than NC20) have problem in finding highlighters which are light enough. I would like to write a full blog post on how to choose a highlighter depending on your complexion and your skin type because the latter plays an important role too. Anyway I have been seeing peeps collecting highlighters and investing in highlight palettes. I honestly don't understand that. I would like to hear what you think about it, if you see yourself buying deeper highlighters and how you use them. The second shade of Moodlight is a cool golden shade which is too deep to be a highlighter for me at the moment but during summer I think I will enjoy it. At the moment I like sweeping this one over a blush to bring some more glow if that is the look I am going for. This works for me because of its cooler undertones. 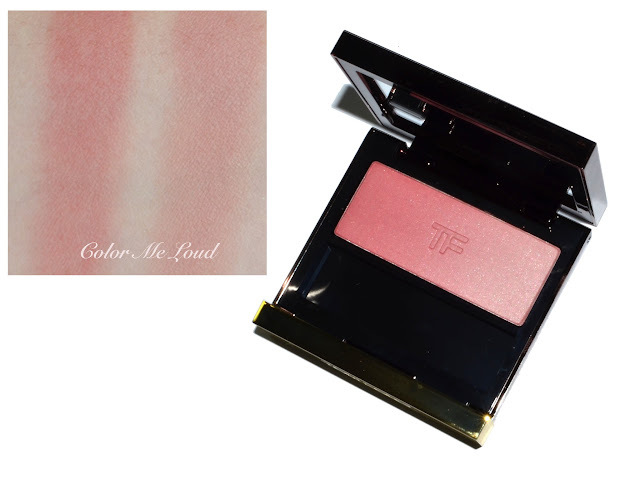 One of the most discussed items of the Tom Ford Fall Collection was the Tom Ford Eye & Cheek Shadows. The shades are designed to be worn on the cheeks and eyes at the same time for a monochromatic look, which is also presented gorgeously in the promo photos. There is an ombre effect on the product which goes from deeper to lighter spectrum on the same shade. The deeper one is probably aimed for eyes and the lighter part for cheeks. Some blogs stated that the powder was hard and pigment was poor. I personally have one which is nicely pigmented and not hard (see the eye swatch below and you see what I mean). I believe the sample which were sent to some of the bloggers were from the first batch which was pressed a little too hard. This happens also occasionally with MAC Ombre Blushes, such as the ones from Toledo Collection this year. My Ripe Peach was very pigmented and smooth (reviewed here) whereas my Azalea Blossom is very hard on the surface and doesn't let the powder loose. One has to see that this is a different product with different texture, nonetheless the Tom Ford Blush fans, who expected a buttery and pigmented blush were disappointed. All in all mine has a fine texture but the shade is a little too red for me to put on the eyes. I have done a few times and enjoyed it but I don't feel like rocking the rabbit everyday to work. It also turns a bit too bright on the eyes, although on the cheeks it is much better. I used it more often for the cheeks this season, especially in combination with Tom Ford Lip Color So Vain. Here is an eye look for those who thought Plum Ombre is not enough pigmented, you might be confused when you see this ;-) Oh and no this is really not a shade I would call plum but I like it, more on the cheeks than on the eyes though. The matte finish makes it easier to pull off. Now on to the stunner. 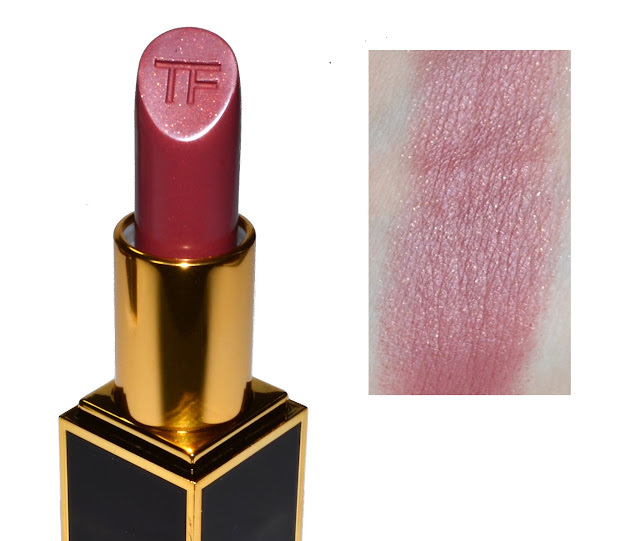 I fell in love with Tom Ford Lip Color So Vain when I first saw the swatches. I was able to resist it for a long time, especially because I tried it in Düsseldorf on my lips when I met Melanie and Anonymiss in September and they said it looked nice on me but not very special. My efforts in letting So Vain go was so in vain(!) that I ended up ordering it. Have I done right? It is a mixed bag, I love love love this shade for Fall, especially in combination with Plum Ombre, it is out of this world. I love Tom Ford Lipstick formula too so it is a winner for me. On the other side the golden glitter on the lips is nice in the beginning but once the lipstick wears out, it stays there and looks a bit odd. The same golden flecks make So Vain also special too though so I can certainly live with them. As for the last tip, this shade needs a matching cheek and makeup to fully show itself. I love it with Plum Ombre. I also liked it with By Terry Contraste Blush Peachy Contrast (reviewed here). If you have found any other products please let me know below. Here is a full look, Plum Ombre on eyes and cheeks, Moodlight on highpoints of the cheek bones and So Vain on the lips. The combination of Plum Ombre on the cheers and So Vain on the lips is unique to my collection and I am loving this combo so much for the season. 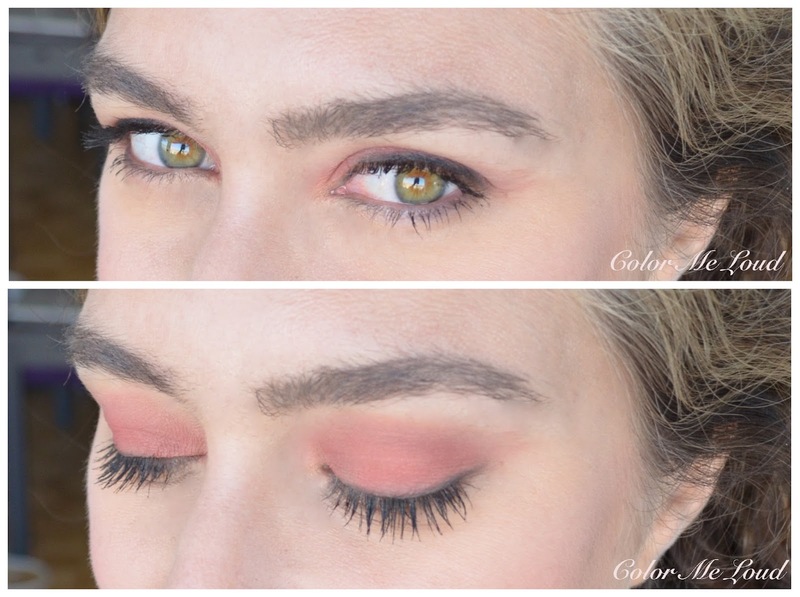 Linda has some nice swatches of the other Eye & Cheek Blushes. Final thoughts: I am especially loving the unique plummy bronzy combination of Plum Ombre on the cheeks and and So Vain on the lips. If you don't like glitter in your lipstick though, you might not like it as much as I do. So Vain is permanent, mostly sold out in Germany but it will be back. Plum Ombre can also still be found even online. Moodlight has the lovely gelée texture, it is pigmented but not overly frosty. It is great if you are not fond of very shimmery highlighters because they accentuate the pores, this one doesn't. I like the fact that the bronzy glow shade is cool too. 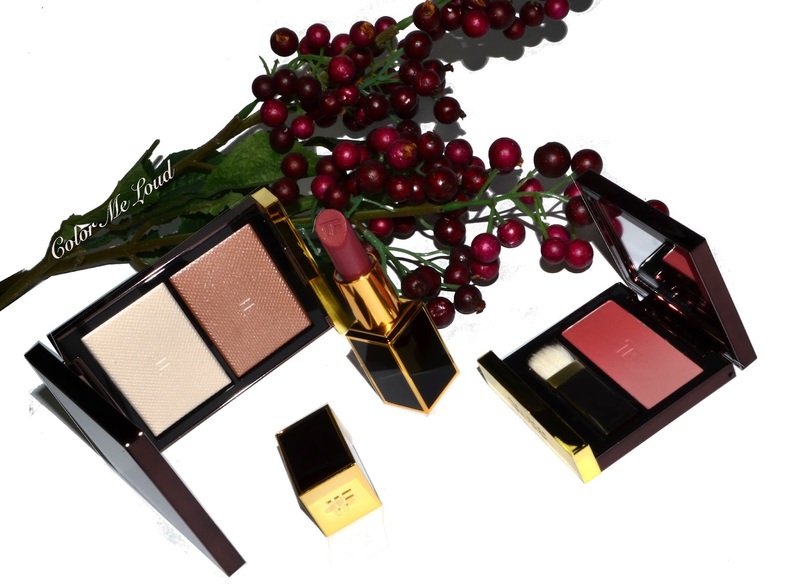 It is a strange feeling to write about Holiday Collection almost 3 weeks ago and being so late to the party with Fall Collection but the limited editions got the best of me. Are you also enjoying some of these products too? On a side note, Lips & Boys will be available in Germany in just a week or two and they will be permanent, yay! Can't wait (although I have around 18 Boys from last time which still deserve some love). We girls, we can't have enough boys right? Damn you for resurrecting Plum Ombre in my mind, especially since I adore So Vain and Moodlight!!! I'm going to have to search for your ballgown post from last weekend; I missed it. And "rocking the rabbit" to work....LOLOLOL!!! Hahaha you cracked me up with that resurrection! So Vain is really pretty, wished the glitter would be a little smaller though, don't you have that staying on your lips after the lipstick wears off? I got the eye and cheek shadow in bronze as it seemed like the only one I could wear on my eyes without the rabbit look. It was hard and lacking, so I returned it. I keep looking at Moodlight, but haven't taken the plunge yet. I'm afraid the light color will just look too shimmery and the darker will be way too dark for my skin tone. That lipstick is beautiful, but the shimmery particles left behind would drive me nuts. Oh, and I forgot to say in my first comment, I hope your cold is going away and that you are feeling much better very soon. Oh no, hope you feel better soon!! Love to see some picts of you at the ball! Plum ombre looks so nice on you!! I didn't love the texture of these though... and I think I have already moved on from Fall (my tiny bird brain can only concentrate on very little!). On a different note... YOU HAVE 18 BOYS!?!?!??? Oh gosh..... bet you'll find half of them are not in the repromotes this year, and buy another 18!! ROFL!!! Feel better soon, Sara! So Vain looks gorgeous on! I wouldn't pick it up based on the swatch (glitters!) but when worn, it looks beautiful on you. And man, what Linda said - 18 BOYS?!?!?!!!!! Hahaha Katherine, I laughed so hard imagining man in biohazard suits hauling you because of your eye shadow!!! We should better be very cautious wearing makeup!! When I swatched So Vain, I also thought glitter would be too much. On the lips it looks beautiful though.. Until it wears away, then I am motivated to apply again not to leave the single glitters on the lips haha. Yeah, I went a bit overboard with boys last year ugh. I will try to be a better girl this time. I am trying hard to use the Fall Make-Up I have because that is what we have here, Fall haha. You know the leaves are falling and it is rainy and muddy lol. I think more than half are repromoted. I have to yet check the list. I was a bad girl last year and this year I am trying to behave. They will be released here this week or next week and I am already eyeing 3-4! That lip colour is lovely. I should have given it some more attention when I was actually at a Tom Ford counter back in September (the closest one to me is a five-hour drive)! Lovely the blush and lipstick. As an eye shadow-- this is a bit too close to the rabbit. I am sad that my favorite Boy-- Jack is not in the permanent group. Trying to see if any of the new group are near dupes. I'm still debating this tom ford powder, haha!